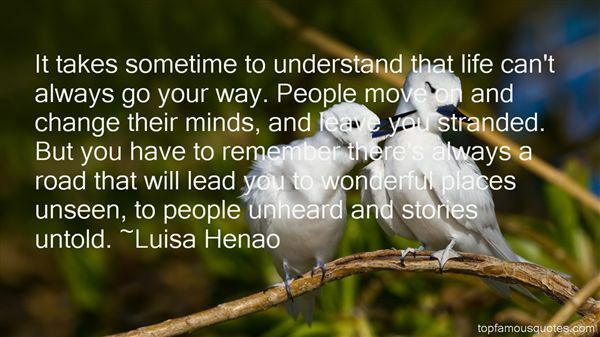 Reading and share top 1 Luisa Henao famous quotes and sayings. Browse top 1 most favorite famous quotes and sayings by Luisa Henao. For ten years I had been protected, wrapped up in something like a blanket that had been stitched together from all kinds of different things. But people never notice that warmth until after they've emerged. You don't even notice that you've been inside until it's too late for you ever to go back-- that's how perfect the temperature of that blanket is."